What a perfect spot to call home! Just a short golf cart ride to the beautiful, blue Atlantic Ocean and white sandy beaches from this wonderful 3 bedroom, 2 bath, 2 car garage home. 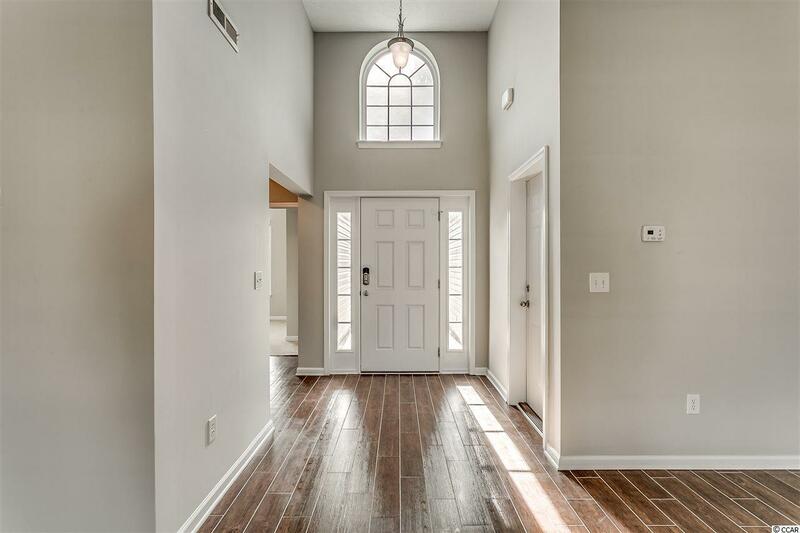 An accent window over the entry doorway along with the vaulted ceiling allow warm natural lighting to flow throughout. Newly painted neutral walls and bright white trim add a fresh new crisp look. Wood style ceramic tile runs through the living, kitchen and bathroom areas. The kitchen has great cabinet space, a pantry and a breakfast nook which is nestled into a large bay window. 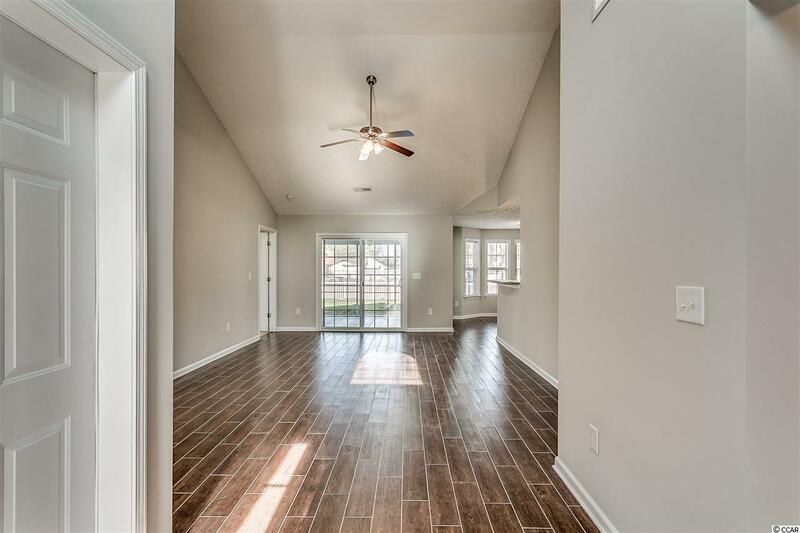 The master bedroom has a generous walk in closet and the master bath offers a walk in shower with corner seating. 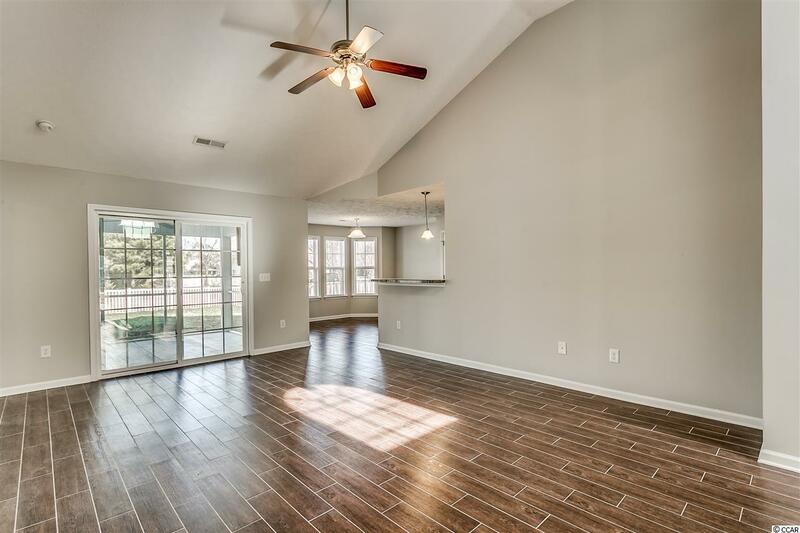 The split bedroom floor plan is open and provides ample privacy and space. Completely fenced, the large backyard is the perfect spot for pets or children to play and even offers an outdoor shower. Catch a cool breeze from the screened porch while watching swans glide through the pond. 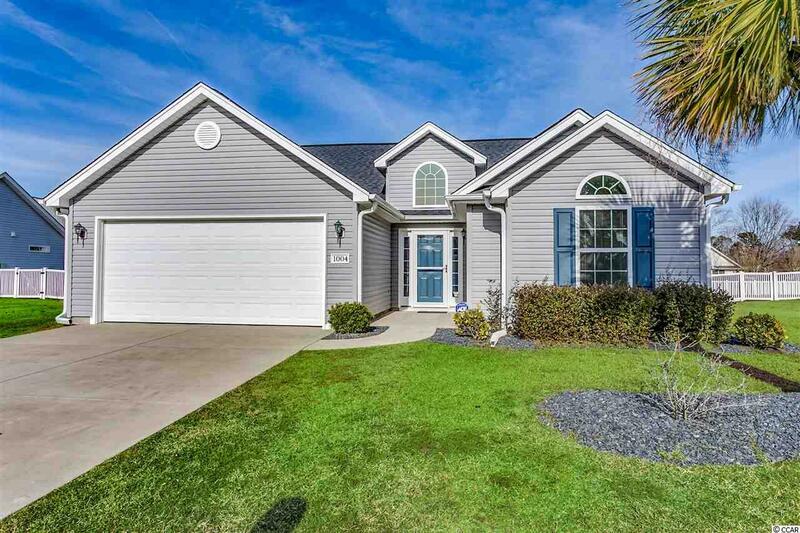 Just a short ride to Market Common, The Murrells Inlet Marsh Walk or the waterway or leave the car behind and golf cart to the Surfside Pier, waterpark, public library, dry cleaners, bank, restaurants, grocery, bakery or local ice cream shop. Golf courses, watersports, fishing, entertainment are all nearby. Whether carting to the beach, enjoying the local area amenities, grilling out on your patio or playing a game in your yard with friends or just relaxing on your screened porch, this home is sure to be your treasure. Come find your own place in the sun today! Square footage is approximate and not guaranteed. Buyer is responsible for verification.